Welcome to Natha Yoga International! Member of ATMAN, the International Federation of Yoga and Meditation! Natha yoga is making the ancient tantric yogi tradition now available to the west and east. In our centers it is presented in a very accessable and pragmatic way so it can easily be integrated into our daily life and is giving profound results. Here you can read about all the courses in this tantric yogi tradition that are available in different countries around the world, as well as tons of spiritual articles. During these days we celebrate the beings of light which are the angels. 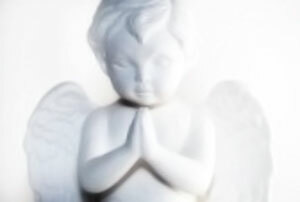 For one week we are going to get closer to our enlightening helpers, in various angel meditations as in our daily life. The only thing to do is to open our hearts towards their playful and pure reality full of light, love and compassion. But also we ourselves can be like angels on earth, giving our fellow men a smile, attention and the love we all deserve, bringing back warmth in our hearts and enlivening true qualities of humankind: Love, Care, Compassion, Charity, Forgiveness. It is only fitting that we celebrate the Angels on this period, being also the time when many celebrate Halloween - therefore while many people are calling beings of darkness (by dressing up as monsters and demons) - we will be calling the angels of light. Yoga is an extremely complex spiritual tradition, having a history older than five thousand years. It possesses a very rich and extensive literature. The genuine yoga tradition unveils a completely different approach in love and sexuality, highly more positive and plenary, unlike the confused and grotesque vision proper to most of the western people, either intoxicated or improperly educated. The Tantric system is one of the best systems for the modern times, in which spiritual values are forcefully being replaced by materialism and ignorance is happening almost everywhere. Tantra is the spiritual system which, having a scientific side, manages to integrate perfection and the absolute in a practical and tangible way, staying always at the level of immediate reality, instead of sterile philosophical dissertations. Learning sexual continence is a kind of leitmotif in a couple relationship. It comes over and over again. The Tantric Festival 2006 kept by Natha Yogacenter was dedicated to celebrate the Eternal Feminine - the Supreme Energy of God: MAHA SHAKTI (The Great Shakti). As a gift for our web-guests, who could not participate to this extraordinary tantric camp we here publish the entire presentation of the Ten Great Cosmic Powers from the camp program.